I am criminal defense attorney Patrick Alan Moran, and from my law office in Tucson, Arizona, I strive to deliver the highest level of advocacy and support possible to those facing serious criminal charges and traffic violations, including DUI, drug crimes, domestic violence accusations, personal and commercial license suspensions, and more. 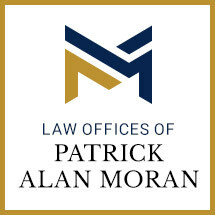 An attorney since 2000, I established my law firm, the Law Offices of Patrick Alan Moran, in 2003 in order to better serve the residents of Pima County and the surrounding areas. During that time, I have achieved notable success asserting my clients' rights and liberties while delivering the effective defense strategies necessary to preserve their privileges and freedom. I understand how a conviction of any type of criminal offense can adversely affect your future. Not only may you face fines and even jail time, but a conviction can also impact your ability to gain or maintain employment, especially if you rely on your license for your job. Similarly, college students who may have made a serious lapse in judgment can turn to me for representation before any disciplinary hearings in order to help ensure their mistake does not cost them their chances at obtaining an education. Regardless of the seriousness of your situation, you can trust that I will do all I can to help you achieve the most favorable outcome possible. For a free evaluation of your case and a consultation concerning your available options, you can contact me at my law firm, the Law Offices of Patrick Alan Moran, to schedule an appointment.